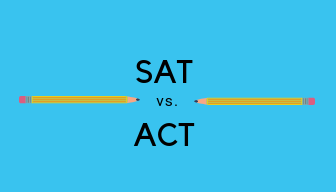 Over the last few years, students have increasingly begun to choose the ACT over the SAT as their standardized test of choice. The ACT is a standardized test for high school achievement and college admissions in the United States. Along with the SAT, the ACT is the official college entrance examination. 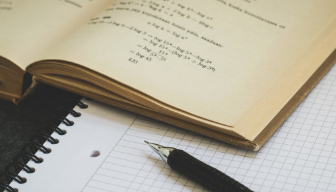 The ACT exam consists of four multiple-choice tests: English, Mathematics, Reading, and Science and an OPTIONAL Writing section. The majority of colleges do not indicate a preference for the ACT or SAT exams and accept both. Both exams are treated equally by most admissions officers. The total ACT score range is from 1 - 36. Measures mathematical skills students have typically acquired ​in courses taken up to the beginning of grade 12. Total exam time: 2 hours, 55 minutes. It is 3 hours, 35 minutes if you do the optional writing section. The total ACT test score ranges from 1 to 36. The total score is the average of the scores received in the four sections (English, Math, Reading & Science). The national average ACT score is 21. 75% percent of students admitted to Ivy League schools scored above a 31 on the ACT. The average ACT score for Harvard is 34. For Princeton and USC, it's 32. For UCLA it's 29. For UC Santa Barbara, it's 27. In general, scoring in the 30s will make you a competitive candidate for top schools and also a viable scholarship candidate. But remember, a perfect or high score doesn't guarantee admission to a competitive school, just like a below average score doesn't necessarily rule you out of admission to a top school. While your ACT/SAT score is a big part of the admissions decision, it's just one part. Admissions Committees also take into account: GPAs, sports, volunteer / work experience and other extracurricular activities. We offer Admissions Consulting services to assist with this part of the process. Multiple choice scores are normally available within two weeks after the test date, but it can sometimes take up to eight weeks. 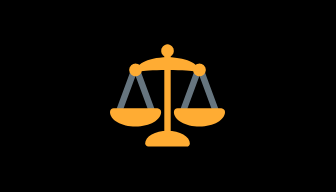 If you elected to do the optional Writing section, writing scores will normally available about two weeks after your multiple-choice scores are available. Note for the OCTOBER test date only: scores can take anywhere from 3-8 weeks to become available. Our exceptional ACT tutors create a customized lesson plan for each student!